To order any of the information below free of charge please click on the shop link at the bottom of the page. 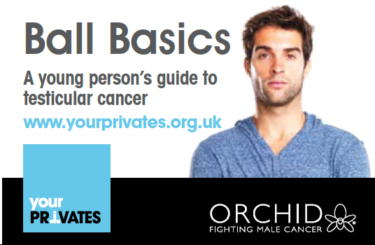 A popular awareness Z-card on testicular health and cancer awareness (3rd edition). A new Z-card for schools. Testicular Cancer and Fertility. (Download only). A leaflet for men who think they may need support detailing Orchids Testicular Cancer Telephone Counselling Service. Orchid no longer stocks its award winning film Know Your Balls. However it can still be viewed here. Glans Resurfacing and Split Skin Graft (leaflet for men undergoing the procedure). 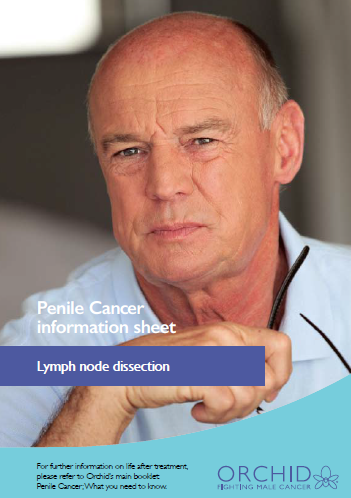 Lymph Node Dissection (leaflet for men undergoing the procedure). Partial Penectomy (leaflet for men undergoing the procedure). Total Penectomy (leaflet for men undergoing the procedure). Penile Health and Penile Cancer Awareness Z-card (3rd edition). 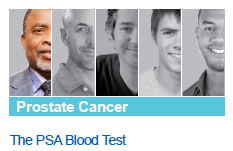 An informative guide to prostate cancer Z-card (4th edition). 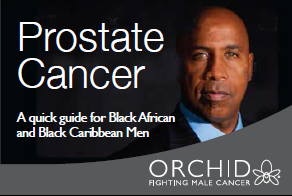 An informative guide to prostate cancer Z-card for Black African and Black Caribbean Men (1st edition). Our Helpline details pocket card. Orchid tries to provide relevant and accurate information in line with Information Standard Guidelines and would welcome any feedback that patients or healthcare professionals may have, good or bad. If you would like to comment on any of the above content please do so by emailing the Orchid Male Cancer Information Nurse Specialists nurse@orchid-cancer.org.uk or filling out the electronic form below.